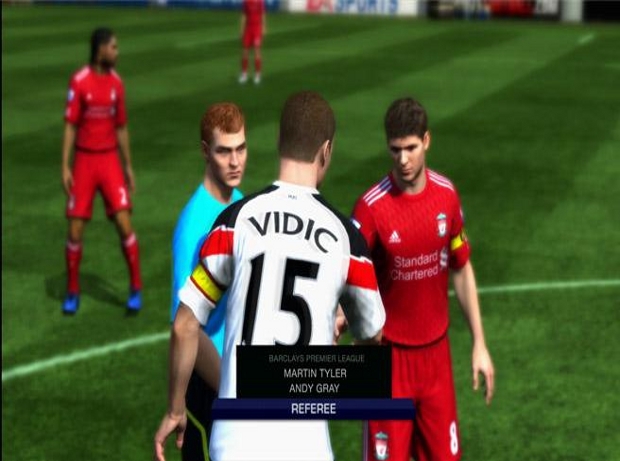 Win a Free Copy of FIFA 13 Just By Watching Liverpool Vs Man United! We want you to enjoy the big game on Sunday and the best accompaniment to Liverpool v Man United you will find comes in the form of the free CaughtOffside App and the wonderful match centre it offers. To encourage you to download the app we are offering a copy of FIFA 13 for anyone who ‘checks-in’ to the big Anfield clash. If you’ve already got the App, check-into Liverpool v Man United here! Here are the easy instructions to follow in order to enter. 1) Download the app. If you already have the app then you are already half way there. “Checking-in” will give you access to loads of cool, interactive features as well as providing up-to-the-minute team news and live scores straight to your iPhone or iPad. To check-in, follow the simple instructions below. Step 1: Click on ‘Trending’ on the main menu. We will pick one person who has ‘checked-in’ and announce who has won at half-time via our Facebook page. The winner will be able to choose what format he wishes the game to come in.